One of the two first Muslim women to serve in Congress has apologized for comments on social media widely condemned as anti-Semitic. Rep. Ilhan Omar, D-Minn., said she apologized “unequivocally” following a joint statement released by House Democratic leaders calling on her to do so. Omar questioned the financial relationship between AIPAC, the powerful pro-Israel lobby, and members of Congress in tweets over the weekend. In her apology, Omar added that she still believes there is a “problematic role” for lobbyists, whether it’s AIPAC or the NRA. Meanwhile, Minority Leader Kevin McCarthy, R-Calif., said in a statement that the GOP will “take action this week to ensure the House speaks out against this hatred and stands with Israel and the Jewish people.” McCarthy did not offer specifics, but Republicans are considering options that include trying to force a vote on a resolution led Rep. Lee Zeldin, R-N.Y., that condemns anti-Semitism broadly and specifically calls out Omar. “We must speak out when any Member — Democrat or Republican — uses harmful tropes and stereotypes, levels accusations of dual loyalty, or makes reckless statements like those yesterday,” the letter stated, a clear reference to Omar’s tweets. For weeks, congressional Republicans have criticized Omar’s placement on the House Foreign Affairs Committee and both women for what the Republicans see as anti-Semitic rhetoric in their past, but the letter was the first official act by some of their own Democratic colleagues. 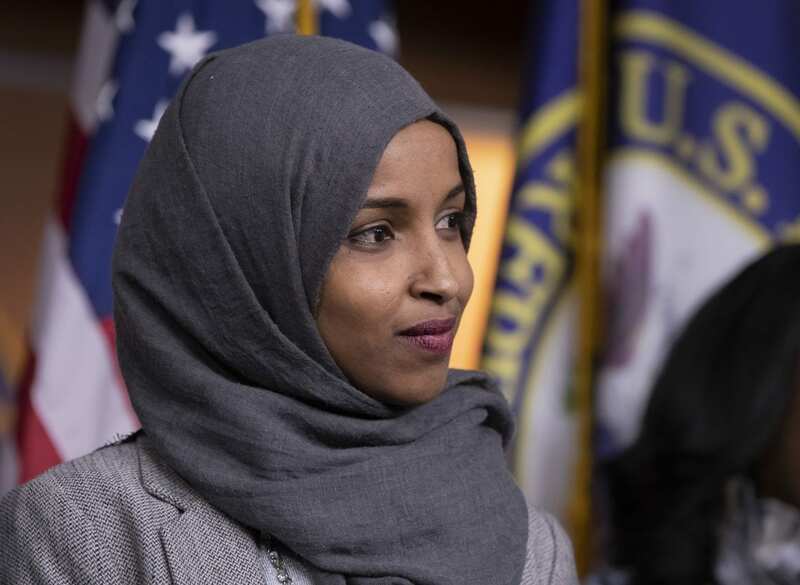 Separately the Anti-Defamation League, an outside group formed to fight hate speech and anti-Semitism, also weighed in before Omar’s apology, citing a tweet where she suggested politicians were being influenced by donations from Jewish groups. “As Americans and Jews, we expect our politicians to condemn bigotry, not to fuel it. Words matter. At a time when anti-Semitism is on the rise in the U.S. and abroad, Rep. Omar is promoting the ugly, anti-Semitic conspiracy theory that Jews have an outsized influence over politics,” Jonathan A. Greenblatt, CEO and national director of the ADL, said in a written statement.